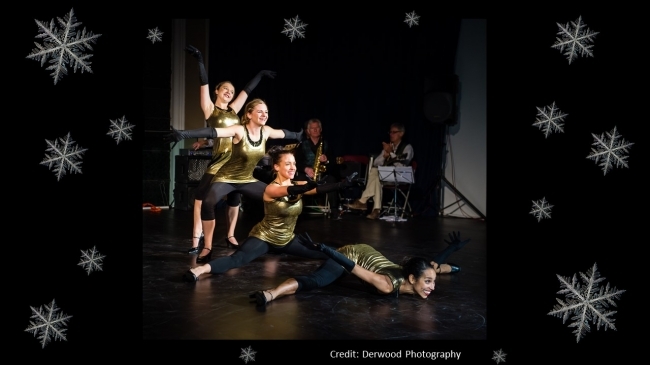 Cabaret and Carols: Thanks to all those who attended a festive fundraiser in December - half of all the money you paid on the door is going to Shelter along with your generous donations in the change pots making a grand total of £533.98 raised - thanks for the support! Private bookings: Want to add some SWDT je ne sais quoi to your events this year? Contact us for details. We've expanded with a new dancer - welcome to the family Emma Reffold! Redfest is back reformatted and on Sat 5th Aug 2017 our dance program is as vibrant as ever with workshops in ballet, musical theatre, capoeira, tae kwon do, African and Graham and performances in all genres from the region's creme de la creme. More details coming soon. Thanks to IOP Publishing for sponsorship towards consultation with deaf men dancing for our production of Lady MacBeth. The UKCPO is now sponsor for SWDT's event 'Light-from Big Bang to VJs', allowing us to make the event free for under 16s. In addition IOP Publishing are sponsoring a limnited number of free tickets for under 25s to attend free of charge as well. A huge thanks to our sponsors! SWDT were onsite with derwoodphotography and Roger Barnes - pics coming soon! We've waved a sad goodbye to our beautiful Renee for two long months this summer. Enjoy the US work Renee - we'll be looking forward to hearing all about it when you're back! A huge thank you to our studio Fitness4Less for increasing their support in kind to us in the run up to the Dance of the Grimm Heroine! Whoop whoop for SWDT's Rhiannon Taylor who has been confirmed as the choreographer for the Special Olympics.